Paying out of pocket? We can help! We offer discounted rates across the board for self pay customers. We will also work with you to help save some of your deductible if you have one. 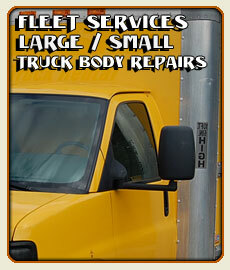 Large or Small, we repair them all. We also have vinyl decal services available. We make our decals in house.